Nintendo's new console is already sold out at several online retailers. Regardless of naysayers claiming the Wii U is priced too high for its own good, Nintendo of America's Executive VP of Sales and Marketing, Scott Moffitt, is reportedly seeing demand rise to a fever pitch. Speaking with GamesIndustry International, Moffitt claims the more expensive, $349 deluxe unit is actually seeing the highest demand from consumers, and pre-order stock is running low. "All I can say is that the response has been phenomenal and we're getting, especially in the higher priced deluxe set, that one's selling out incredibly quickly," Moffitt boasts. "That seems to indicate that the pricing's in a good spot and the proof is in the consumer response." As we learned yesterday thanks to Nintendo's video tutorial on Wii U storage, the basic model of the console is decidedly light on built-in memory, with just 8GB. The higher priced deluxe version, with 32GB of space, seems to be the best option for many gamers. A quick scan of sites like Amazon, Best Buy, and GameStop shows no pre-order options available for those who haven't already thrown their money down for the new system. 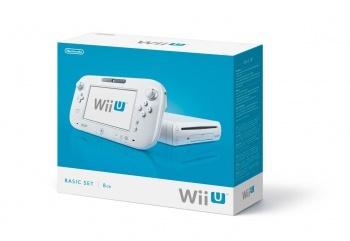 eBay sellers are already attempting to profit from the perceived shortage, demanding as much as $3,000 for the privilege of playing the Wii U shortly after launch.